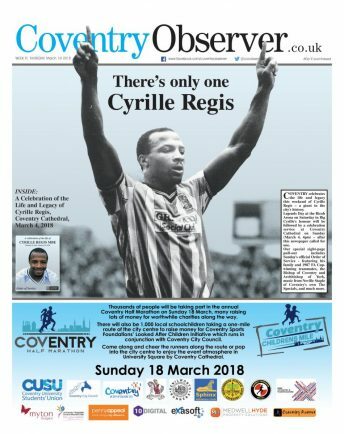 Coventry Cathedral is set to be full for Sunday’s celebration of the football legend Cyrille Regis’s life and legacy – with only 100 tickets remaining earlier today. A full capacity 1,500 congregation is anticipated – weather permitting – with the remaining 100 free public tickets available by following information on Coventry City Football Club’s website. Speakers at the service will include Cyrille’s family, and fellow 1987 FA Cup winner Greg Downs. A host of that team is expected to attend. Neville Staple will be performing The Specials’ ‘A Message To You Rudy’ at the ‘Celebration of the Life and Legacy of Cyrille Regis MBE’ on Sunday (March 4, 4pm). Expected to be of national interest, the celebration will also feature the Archbishop of York John Sentamu, a real coup for the event which this newspaper called for. The service, led by the Dean of Coventry the Very Reverend John Witcombe, also includes Cyrille’s former West Bromich Albion teammate and fellow ‘pioneering’ black footballer Brendon Batson. 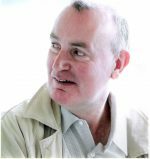 Music also comes from the Boy Choristers of the Cathedral Choir, Mark Beswick, and gospel singer Sandra Godley, and will include a rendition of the Sky Blue Song. Cyrille Regis, who passed away in January aged 59, will also be honoured at a special Legends Day at the Ricoh Arena on Saturday, for the home game against fellow promotion chasing rivals Lincoln. For our coverage of Legends Day 2018, click here.